Are women still aberrations in the tech industry? 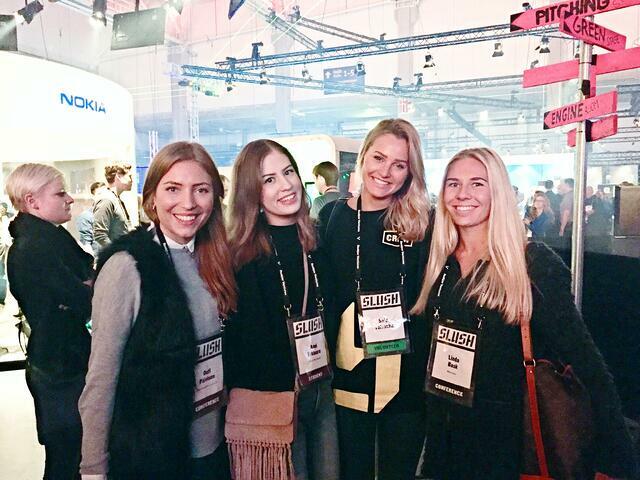 To balance out the gender ratio, we sent an A-squad of five tech-savvy #LuxusWomen to Slush 2015. Following Dublin’s Web Summit earlier this month, the event’s producer Sinead Murphy announced a new initiative for the coming year: in 2016, a program called ‘Commitment to Change’ will offer 10,000 free tickets to female entrepreneurs attending any of the four events. 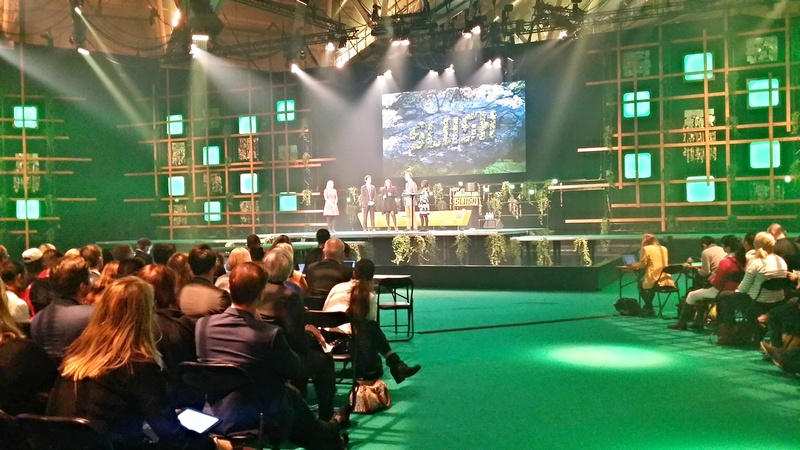 In just a few years, Slush has managed to transform into a global startup event with unequalled media value. It’s the kind of positive phenomenon that most people want to be a part of, which is really no wonder considering the incredible impact it has on Finland’s startup scene and national economy. What makes Slush truly unique is its inviting and inclusive atmosphere: while other tech conferences are largely embodied by serious businessmen in suits, Slush offers ample opportunities for networking for everyone, including students and women. With such a refreshing and compelling value proposition, it’s no surprise that the event is getting more and more global traction. This year’s Slush was my first one, and honestly I was truly amazed: two days of inspiring talks, interesting people and compelling company presentations. I was particularly impressed with social entrepreneurs, who were more prominently featured than ever before. It was great to see how modern technology can help us come up with life-changing innovations that improve the lives of the poorest one billion. For instance, a Finnish startup called Funzi has created a mobile platform for learning in emerging economies. The very same invention has also been put to use in the recent refugee crisis, as it offers refugees a chance to educate themselves about the different stages of immigration. I was also really proud to witness the first steps of my friend’s startup Duara Travels, which is a three-woman operation driving micro-entrepreneurship across emerging communities in Asia, Africa and Latin America. This year’s Slush gave me the opportunity to meet people who have had the courage to break patterns and create bold and unique business models. I was especially taken aback by Synoste, a medical company that has created a way to lengthen legs. Their proprietary technology gives people opportunities that have never existed before. And that’s what I love about technology: not only does it drive successful businesses, but it also enables the creation of global networks that accelerate a new kind of growth. Once again, it was proven that there are people with money and there are innovations that deserve the attention of those people. And that's awesome! I was especially interested in hearing more about healthcare tech and witnessing the legendary Slush 100 pitching competition. To my distinct pleasure, the former got a lot of coverage with one of my favorite speakers being Urska Srsen, the co-founder and CCO of Bellabeat, who gave an insightful speech about designing wearable healthcare for women. She noted that women have for long been overlooked as users of technology, and that she had made an active decision to turn the tables for good. Another healthcare tech hero was the winner of the pitching competition, an Australian startup called CareMonkey that presented their health and safety system in a simple yet convincing way. It seems that health wearables and services indeed contain great potential for both consumers and businesses. As can be extracted from the above, our A-team agreed that the two-day conference was filled with engaging, educational and refreshing insights from rookie-entrepreneurs, multinational enterprises and anything in between. However, the five of us can also wholeheartedly agree on both Web Summit and Slush’s call for increasing the number of women involved with all levels of technology. At Luxus, we don’t only value the professional contribution of the white Western male, but equally appreciate the expertise and competence of all of our people. For someone who is fortunate enough to witness gender and racial equality in our everyday working culture, it seems obvious that competence in technological or any other field has absolutely nothing to do with gender, ethnicity, religion or sexual orientation. But is our contribution to leveling the gender ratio enough? Not if we’re doing it alone. We’d like to take this opportunity to encourage you to join us, Web Summit and Slush in our attempt of bridging the gap between women and the tech industry. For any questions, comments or feedback, please don’t hesitate to contact us!